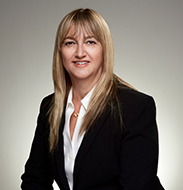 Mrs. Miri Mishor has been serving as Senior Vice President, ICL Information Technology since 2014. Mrs. Mishor joined ICL in 1986 and served in various positions, including CIO of ICL Industrial Products and Vice President Information Systems of ICL Fertilizers. Mrs. Mishor holds a B.Sc. degree in Mathematics and Computer Science and a M.Sc. degree in Industrial Management from Ben Gurion University.